(Jan 22, 2013) Paul said:Cut outs and Portuguese pressings...money taken by Morrisey..
(Aug 3, 2012) Gareth said:Fantastic to see that all too familiar, if long lost carrier bag again! I do have one stowed away in the attic, containing a reel-to-reel tape of an old Kenny Everett radio show. Ahh the memories! 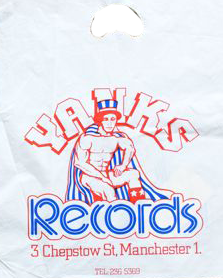 Their sales were legendary and you'd get a free bag of peanut M&Ms with every purchase, years before they went on sale in UK shops. It's a gym nowadays, owned by Duncan Bannatyne (or whatever his name is), the Scots 'Dragon's Den' fella. (April 16, 2015) I loved Yanks 82/83 when I moved to Hulme. Bargains galore. All US cut-outs and cheap. I got my whole Curtis Mayfield, Bootsy Collins, Funkadelic albums in there for 79p each. One time I bought a David Bowie 'Lifetimes' promo for £4.99 - this was a lot at the time. About a week later the same record was going for £200 in the NME classifieds. They had a bunch of them in Yanks - should've bought the lot. A bit later in '83 they opened another branch underneath the Arndale Centre but this never seemed to have the right vibe. That basement was amazing though. Wish I had a time machine. Oh yeah - their cheapest section was 29p each or 5 for 99p. 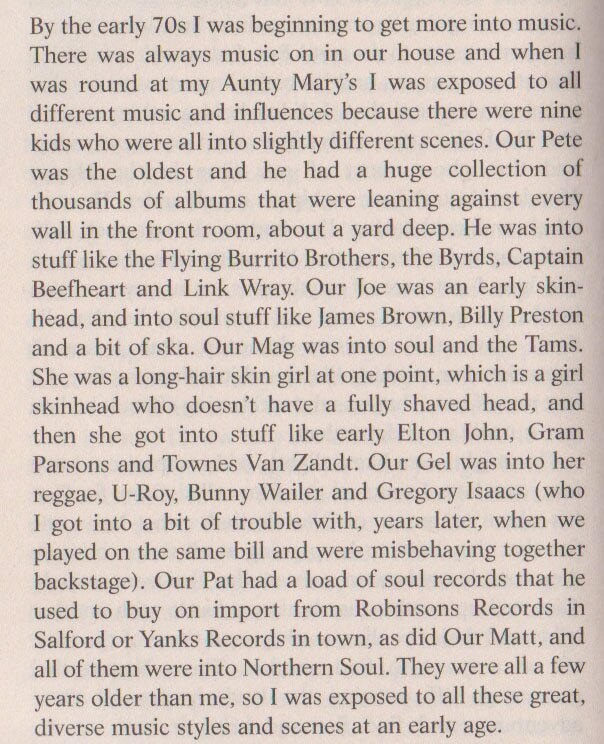 The following is taken from Morrissey Autobiography; Yanks is a messy record shop somewhere behind the old Gaumont Cinema on Oxford Road. It is a large, damp cellar stacked with cut-price US deletions, and it is here that I ring the till for a few months – wrapped in a heavy overcoat, as the cellar quite naturally has no heat. Twisting My Melon Shaun Ryder.